Thumbing a taxi ride like so many long-established business models have been transformed by the smartphone, a truly disruptive technology. Lyft, the App driven, ride operator has relegated the thumb to second place as the index finger punches your phone, opens the app and hails the taxi for you. Same model as the better known and bigger rival Uber. Investors of a certain age might look back fondly while waving goodbye to Danny DeVito, the radio “dispatcher” with the American TV series “Taxi” that ran from 1978 to 1983. How things have changed, yet looking deeper how much they stay the same. Taxi drivers generally tend to be much the same the world over, seeking the higher paying fares and hustling for hot spots where the lessened wait between fares maximises the return per ‘road-hour’. Costs of fuel, cars and associated maintenance are still the metrics of the model. They fall on the driver, known in the gig economy as a “partner”. In the United States, cities such as New York, Boston, Chicago, and San Francisco used to limit the number of legal taxis by the issuance of a “taxi medallion”, in effect a franchise. At peak, a New York medallion traded for $1m. The limited supply allowed a sustainable living for drivers and perhaps a slightly higher cost for the passenger. The App world has changed the supply and demand balance. Apps tend to benefit passengers, albeit until fares spikes during periods of high demand and during events where fares jump to significant premiums when the local proximity flags short supply. Lyft, founded in 2012 by Logan Green, CEO and John Zimmer, President was initially founded as Zimride changing the name to Lyft in 2013. Company branding has seen some imaginative and fun moments so far. For instance when the company adorned cars with a pink “grill-Stache”, retiring the idea soon afterward. 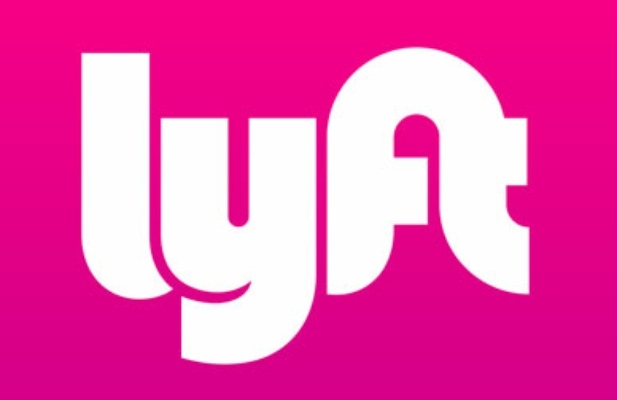 The growth of the company places Lyft as the second largest ride-hailing company in the United States with around a 28% market share according to Second Measure research company. There are five levels of ride, including; the economy Shared Ride available in some cities, Lyft as the dominant service offer, Lyft XL offering larger 6 seat rides, and the three premium services – Lux, Lux Black and Lux Black XL aimed at business sector users. In addition to the Lyft business, the company acquired the bike rental business Motivate International Inc, (formally Alta Bicycle Share), the company stated in 2018 that Motivate will operate as a standalone business. Lyft is the very essence an App of arbitrage, branded technology with proximity efficiency as the secret sauce. As with any supply and demand market and one with a significant rival, competition is a double-headed snake, cabbies snap up signup and service incentives and riders flip Apps looking for not just the right price but the right car. This is the reality when platforms meet people. Inevitably, this means that the likes of Lyft and Uber are market markers with contractual obligations such as vetting drivers and from time-to-time intervening with customer service to deal with customer disputes. So far, Lyft has enjoyed less controversial media coverage whereas Uber has seen the brand impacted, a quick Google search will reveal. This is what happens when branded technology unifies fractured “partners”. The gig economy makes drivers an expendable commodity with significant cost advantages to Lyft and others, when market demand drops, so go the drivers. Conversely, no longer is a driver of a taxi just a “taxi driver”. Drivers become brand ambassadors or brand detractors. With social media opening flat earth of viral risk directly from a Tweet or image spinning into the social media vortex, brand exposure and reputation are certainly a factor for Lyft, more so as a public company. A further challenge to the business model is the way “partners” earn money and you start to see a conflict. Mix it with aggressive customer acquisition focussed discounting and it becomes clear who the real winner seems to be, “the passenger”. In recent months, as Lyft needed to look it’s best for the upcoming IPO, rides in certain markets have in effect been subsidized by investors, in some cases by around 25% in a push to grow market share. But we might question if acquiring taxi fares is like “chasing fairy dust”? The ‘taxi ride’ is a singular non-subscription source of revenue. This is not like a mobile telecom company acquiring a new contractual subscriber with a handset discount or a publication which discounts the first 4 weeks of a subscription to tie the reader in for a year. Riders can ride once, cost the company money and then move unimpeded to competing apps. The rise of the so-called unicorn companies, (private companies valued at $1b and beyond), has largely been a consequence of private equity and cheap money funding an asset that can then be sold on at a premium, most likely to the public via an IPO. Before looking at the valuation, keep this number in mind, Lyft lost $911.3m last year, in effect the rides were partly paid for by those private investors in the company! The IPO was underwritten by JP Morgan, Credit Suisse, and Jefferies Group, it might perhaps become a classic lesson for investors. Trading of the stock commencing just before noon at 11:55 hitting $86.70 on Friday, MSM Money headlined with, “Lyft stock pops on the first day of trading”. A pop being the amount, (21%) that the shares opened over the offer price. But not for long, just 4 hours later at the 16:00 close, the shares slumped down to $78.29, as some of the early equity cashed-out. Lyft is an App that seems somewhat reminiscent of the dot-com era, as the company has yet to demonstrate either a sustainable or profitable business model. Given that rival Uber is also looking to IPO shortly, we might well see some very aggressive discounting and incentives for driver signups creating the prospect of munching through funds quickly. Mr. Market offers investors the option to buy and sell each trading day. For any stock introduced to the public markets, there is never any need for investors to rush in on day one, especially with a company that burns a lot of cash. Reviewing the offer document, the word “scooter” was actually mentioned 159 times, another trendy buzz word of our time, trends change but profitability will always be in fashion. Lyft has some big and impressive investors onboard, it seems the early beneficiaries will be the fee-paying passengers. It remains to be seen what the final destination is for investors in Lyft, it could be a bumpy ride and like any driver knows it’s vital not to run out of gas. This blog is not investment advice. It is based entirely on personal opinion, and is not a solicitation or offer of investment advice of any kind. Consult a professional investment advisor before making any investment decisions. Trading cryptocurrency, currency, equities and ETFs is potentially risky. You should proceed with caution before trading on the site. By using the Panxora website, platforms, and API you represent that you understand the risks associated with trading cryptocurrencies and global markets. Panxora trades global securities, including US stocks. The company does not have a presence in the USA and are not a US Regulated Broker Dealer. We do not accept traders residing in the United States of America.